Energy consumption is a significant component of your company's operating expense. 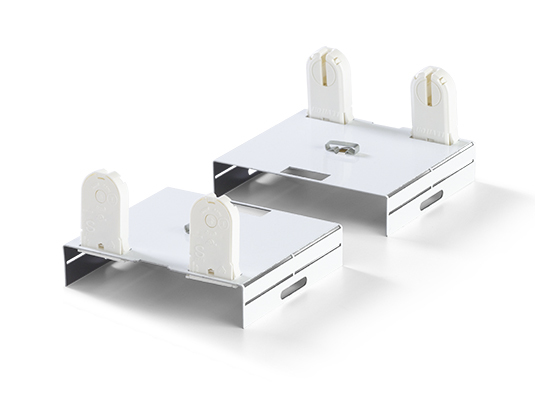 Engineered Products Company (EPCO) offers a wide variety of Fixture Bracket RetroFit Conversion Kits to address the Building Owner's and Facility Manager's various needs for lighting system upgrades. 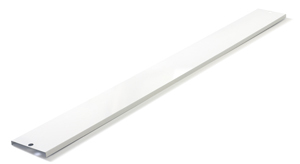 We convert older T12 or T8 fluorescent lamps using magnetic ballast to strip-type fixtures using T8 LEDs. 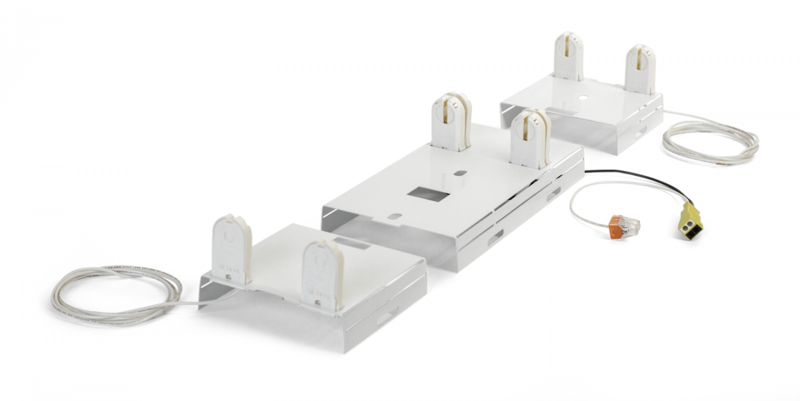 Our low cost Fixture Bracket RetroFit Conversion Kits take into account budget, operating environment, required lumen output, energy saving goals, minimum efficacy requirements for utility rebates, and other parameters to ensure we deliver the optimal lighting system solution. 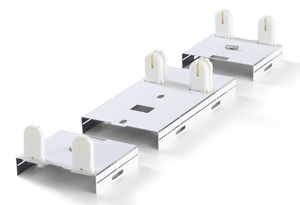 Standard - Fixture Bracket RetroFit Conversion Kits (4-foot and 8-foot lengths). 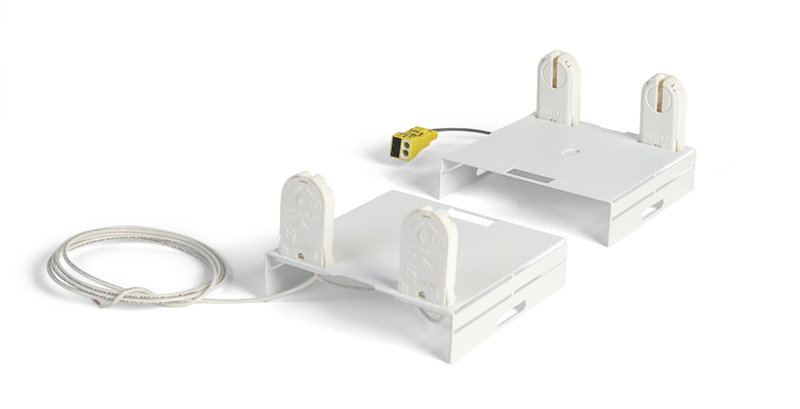 Pre-wired - Fixture Bracket RetroFit Conversion Kits (4-foot and 8-foot lengths); includes supply line and luminaire disconnect. These kits are specifically intended for use with Type B Double-End Direct-Wire Bi-Pin T8 LED Lamps classified to UL Standard 1598. Easily integrate with automatic lighting controls and occupancy sensors. Improve the look and feel of your environment. Retrofitting takes half the time and half the cost compared to installing a new lighting system. Expedites installation time by 25%! Simple upgrade to energy efficient lighting. Initial energy savings up to 40% or more. Payback periods from 15 months to 3 years for most installations. Part Numbers 18073 and 18073B are specific to Double-End Direct-Wire T8 Type B LED Lamps, classified to UL Standard 1598C. The incoming supply line conductors must be connected to the luminaire disconnect HOT and Neutral (Black and White) conductors on the wiring harness. Part Numbers 18070B, 18073B and 14080 must be ordered in quantities of twenty (20). Uses two (2) T8 LED Lamps.